The unprecedented sudden cancellation of one of television's top comedies has left a wave of unemployment and uncertainty in its wake. Roseanne Barr's racist tweet and the swift axing of her rebooted show put hundreds of people out of work, with some wondering whether they would be paid, most knowing they wouldn't be, and few with any legal recourse. "A lot of people there are just middle class Americans making a living and now they're out of work, especially at a time when we're ramping up into production for the fall season," Rebecca Sun of the industry trade publication The Hollywood Reporter said in an interview with The Associated Press. "It is pretty devastating for all of the people who worked on that show who are now collateral damage as a result of their star's racist beliefs." Contractual details for those involved with the show, including Barr, were not immediately clear, and would play out in the coming months. Experts say high-profile figures in the television industry typically have contractual clauses that give them significant severance for shows that are not produced. Lower-level workers are generally out of luck at an unfortunate time. Though "Roseanne" and many shows just had their season finales, jobs for next season are mostly taken. Ben Sherwood, president of Disney-ABC Television Group, apologized in a memo Wednesday to "the many men and women who poured their hearts and lives into the show and were just getting started on next season. We're so sorry they were swept up in all of this and we give thanks for their remarkable talents, wish them well, and hope to find another way to work together down the road." 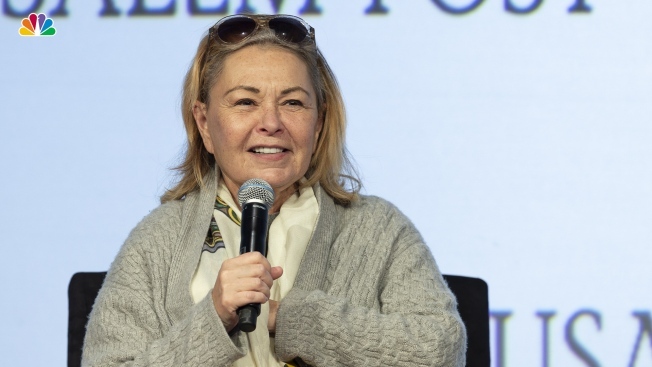 The cancellation came on the first day of meetings for the newly assembled writers for the fall season of "Roseanne." They arrived after Barr's tweet, but before ABC President Channing Dungey's announcement that the show was finished, leading to what executive producer and writer Dave Caplan said were "a lot of bittersweet hellos — and a couple hours later, a lot of very difficult goodbyes." "Everybody is still in shock at how quickly this all went down," Caplan told The Hollywood Reporter on Wednesday. "It's unfortunate because the writers did pass on other jobs to take this job and nobody really knows yet what kind of compensation they're going to get." For cast and crew members that did have longer-term contracts, Barr's show-sinking tweet could be deemed, strange as it sounds, an "act of God." A "force majeure" or "act of God," legally, is some unpredictable event such as an earthquake or a riot that changes the underlying circumstances. "It means something outside of the control of the parties. Roseanne's speech wasn't in the control of ABC," said F. Jay Dougherty, a professor who specializes in entertainment and media law at Loyola Law School in Los Angeles. "It wouldn't surprise me if this was treated by the studio like that kind of event, giving the studio a right to terminate contracts." Barr herself suggested on Twitter lately that she may try to take some action. "You guys make me feel like fighting back," Barr tweeted to her followers Wednesday. "I will examine all of my options carefully and get back to U." Her contract may have a "morals clause," however, which are often included in the contracts of television stars, athletes and other prominent figures, demanding a standard of behavior as the face of an enterprise. "If there is a morals clause in her contract, then breaching that would give the studio a right to terminate her contract, and possibly even sue her for damages for breach of contract,"
"We can't predict whether there will be lawsuits or not," Dougherty said, "but I don't think there will be successful lawsuits." John Goodman has remained largely tight-lipped about the end of "Roseanne." Goodman told an "Entertainment Tonight" videographer on Wednesday that he would "rather say nothing than to cause more trouble." The actor suggested he would like to move past the swirl of controversy, claiming he had not even followed news coverage of the racist tweet that prompted ABC to axe the "Roseanne" reboot. President Donald Trump weighed in again Thursday escalating a feud with ABC in the wake of the cancellation of "Roseanne." Trump targeted Robert Iger, who is chief executive of ABC's parent Walt Disney Co., on Twitter Thursday. Trump says: "Iger, where is my call of apology? You and ABC have offended millions of people, and they demand a response." Trump complained about an erroneous report last year by an ABC investigative reporter, saying there was "no apology." But ABC did apologize in that case and also suspended the reporter and told him he could no longer report on Trump. Mike Cidoni Lennox, Nicole Evatt and David Bauder contributed to this report.